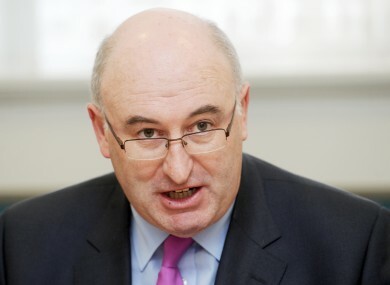 MINISTER FOR ENVIRONMENT Phil Hogan said today that communication about water restrictions in Dublin could have been handled better. Speaking on RTÉ’s News at One earlier, Hogan said “rather than putting it on the airwaves by press release yesterday morning, I think we could have handled it better”. He said that the issue at the Ballymore Eustace plant is one that “engineers haven’t seen or experienced before” and that international expertise has been brought in to assist them. Though he said “everything possible” is being done, he could not guarantee that the nightly restrictions will be lifted by next Monday. Tonight, water across the four Dublin local authority areas will be shut off from 8pm to 7am tomorrow morning and Dublin City Council has said this will continue until at least Monday evening as its engineers work to find a solution. Email “Hogan: Communication of water restrictions could have been handled better ”. Feedback on “Hogan: Communication of water restrictions could have been handled better ”.